In 1966, instead of following the trend of acid rock, with its experimental sounds and studio trickery, Dylan hiked off to Nashville to record his groundbreaking double album, Blonde On Blonde. The musicians on the record were some of country music’s best session players, and Dylan was firing on all cylinders creatively. The result was astonishing, but not yet a country rock sound. As the psychedelic movement gathered momentum, Dylan had a motorcycle accident that took him off the scene. As he recovered in late 1966 he hooked up again with his touring band The Hawks, soon to be re-dubbed The Band, and started jamming tunes in the basement of the house known as ‘Big Pink’ in Woodstock, upstate New York. The tapes that came out of the Dylan sessions with the Band were passed around the music industry and offered as songs for other artists to cover. In these sessions they explored the sound of an American past: blues, country, hillbilly, folk, sea shanties and Appalachian dances. As Greil Marcus says in the sleeve notes to the Basement Tapes album (1975), it conjures ‘a feeling of age, a kind of classicism. 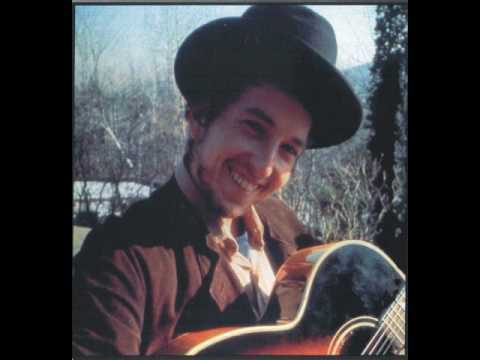 Bob Dylan and the Band, Please Mrs Henry, from the Basement Tapes. This was recorded in 1967 but not released officially until 1975. As The Basement Tapes weren’t officially released until the mid-70s, the first the public heard of this new back-to-roots approach was Bob Dylan’s John Wesley Harding album. Like Blonde on Blonde it was recorded in Nashville, with a stripped down band and sparse arrangements. Released in January 1968, it officially flagged up a roots movement in rock music, and the final track, I’ll Be Your Baby Tonight, was Dylan’s first full-on country song, pedal steel guitar and all. The follow-up punch came in August of 1968 when The Band released Music From Big Pink, the album that came directly out of the 1967 basement jams with Dylan. It’s a veritable scrapbook of Americana, and includes a hard country rock sound on The Weight. The Band, The Weight, from the album Music From Big Pink. The primary catalyst for this new sound was a young Southern musician called Gram Parsons. By 1968 The Byrds had seen various key members leave, and with only two left and an imminent tour, they were desperately in need of a new recruit. Chris Hillman thought of Gram Parsons, whom he’d met completely by chance in a bank queue a few months previously. At the time, Roger McGuinn of The Byrds was plotting an ambitious double concept album that would track the history of American music. His plan was to start with Appalachian style, move on to modern country music, and then into electronic music and finish with the band’s take on the music of the future. Gram Parsons loved only country music, though, and with the support of Chris Hillman he took control of the band and steered them into a new style, dropping McGuinn’s concept by the wayside. Within weeks of Parsons joining the Byrds, the band were in Nashville to record their next album and appear on the legendary country show, the Grand Ole Opry. The Grand Ole Opry audience was suspicious of the long-haired hippies, but despite a bit of early heckling they went down well. Parsons infuriated the show’s producers, however, when he changed the agreed schedule and announced that they would be playing Hickory Wind, his own composition, instead of a Merle Haggard number. The Byrds, featuring Gram Parsons singing Hickory Wind. The Byrds followed the recording of Sweetheart Of The Rodeo with a tour that took them to London. Here they met up with the Rolling Stones and Parsons began a close friendship with Keith Richards. It was partly under his influence that Parsons decided to leave the Byrds just before the South African leg of the tour, as a protest of the apartheid regime there. Hed been with them less than five months. Soon afterwards the Sweethearts of the Rodeo album was released, with some of Parsons’ songs removed and a couple of his lead vocals replaced by Roger McGuinn’s. It turned out to be the band’s worst selling album to date, and although it received great critical praise, it failed to ignite the country rock revolution. What finally did spark that revolution was Bob Dylan’s Nashville Skyline, released in May 1969. His third album to be recorded in Nashville, this time Dylan went full-out country. It starts with a duet with legendary country/rockabilly star Johnny Cash, and is followed by Dylan’s first ever instrumental, a fingerpickin’ country jaunt called Nasvhille Skyline Rag. It also features his biggest ever hit single, the steel guitar-drenched Lay Lady Lay. The roots movement was further boosted by the Band’s second album, The Band. With a sepia tinted cover photo that looked like it had been taken in the 19th century, plus a musical approach that was soaked in the mythic strands of Americana, this timeless album cemented their influence on the rock scene.